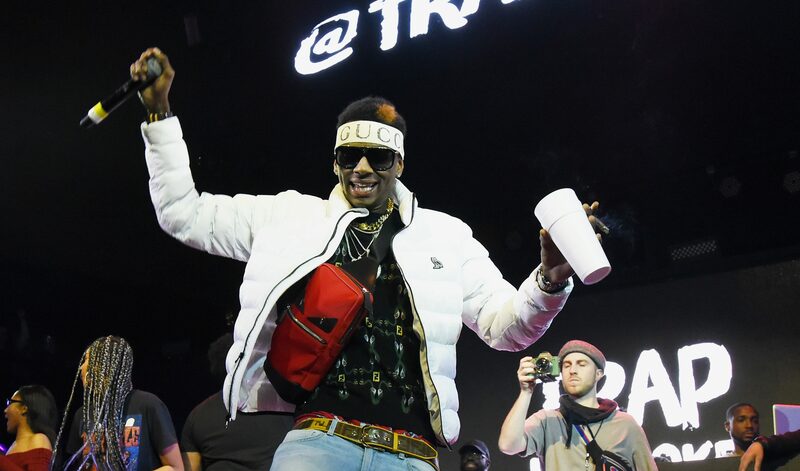 Soulja Boy demands an apology from Gucci, "I feel disrespected." If you follow Soulja Boy on social media when then you know he’s the biggest Gucci enthusiast in the rap game. But following the blackface scandal that the famed luxury brand is at the center of, the rapper says he’s done reppin’ the designer swag. Many online users noted the resemblance as the black “balaclava jumper” to tradition “sambo” images. On the garment, there is a zip up collar that covers the lower half of the face. The design of the item has pronounced red lips that have been used in pop culture to mock Black people’s mouths. The item was deemed offensive and in a statement, Gucci apologized and said it would removed the jumper from sale on its website. The brand also noted that it would turn the incident “into a powerful learning moment for the Gucci team” and was committed to increasing diversity. Meanwhile, Soulja his kicking his Gucci loyalty to the curb after reportedly spending “hundreds of thousands of dollars, if not millions” on their items over the last decade. The “Kiss Me Thru The Phone” artist plans to donate his Gucci gear to charity, for those in the culture who still want to support the brand. “It’s so disrespectful,” he said to TMZ in reference to the blackface jumper controversy. Not connected to this controversy, the rap star has started the process to remove the Gucci logo that was tattooed in the middle of his forehead since his teens. The black wool balaclava turtleneck sweater was available for $890 on one site. Meanwhile, Harlem-based fashion designer Dapper Dan, who was recently at the center of a his own Gucci controversy – has revealed plans to meet with label’s CEO this week to discuss the company’s blackface scandal.